Kevin Eastman and Courtney Eastman will be taping an appearance on "Tonight in San Diego" on June 20, 2016 at the Spreckles Theater in downtown San Diego. I have two tickets available to give away to one person who can attend the taping in San Diego! You MUST be in the San Diego area and able to attend the taping this Monday at 7:30pm. If this describes you, please e-mail me before the end of the day Thursday, June 16 and include your full name. Tickets will be given away randomly from all qualified emails received. If you would like to buy tickets for the reasonable price of $7/each, you can do so here. 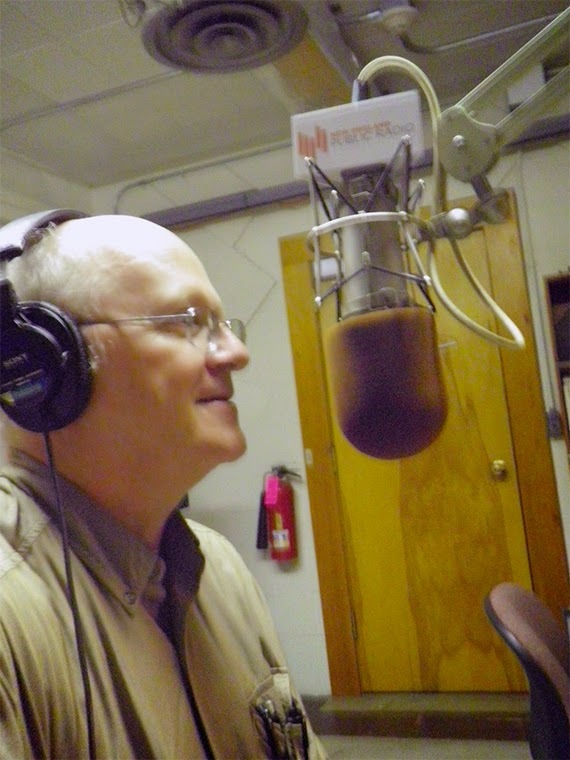 The show will air locally in San Diego on channel 50 KSDY Thursday, June 23 at 10pm. 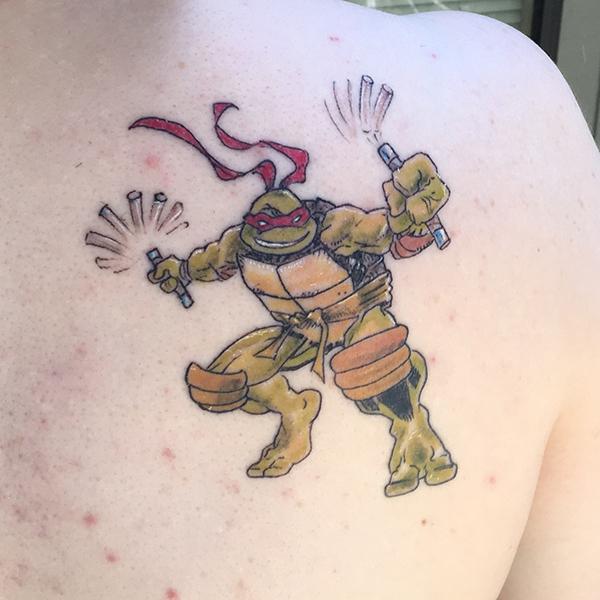 Last month I got a TMNT tattoo! It's awesome! And I know a lot of you also have amazing TMNT tattoos. I'm looking to compile a gallery of them to share with other fans. If you'd like to be included, simply send me a photo of your tattoo (hi-res, please!) along with it's story. How long have you had it? How did you choose your art? Who was your tattoo artist? Feel free to include any and all details you'd like. Send your photos and stories to rosemary@ninjapizza.net. Or, send a message to me through the Ninja Pizza Facebook page. I'm looking forward to seeing and sharing your submissions! Last month, race car driver Danica Patrick and Chicagoland Speedway made a joint announcement that Patrick will drive an April O'Neil/Teenage Mutant Ninja Turtles themed car in the September 18, 2016, Sprint Cup race at Chicagoland Speedway. 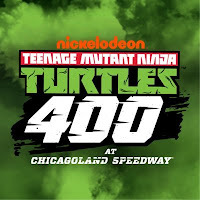 It was also announced that the race will be called the Teenage Mutant Ninja Turtles 400. As a limited time fundraising effort, I am currently offering a special deal on a selection of vintage Teenage Mutant Ninja Turtles greeting cards. All of these cards feature art by Steve Lavigne and Ryan Brown that is unique to each card. I am not aware of this art being reprinted anywhere else. Cards themes include Happy Birthday, Get Well Soon and Friendship. During this offer, cards are all a flat price of $5. That price includes free first class letter shipping within the US. (This means that cards will be sent through standard mail.) International buyers or buyers who wish their card(s) to be shipped as protected packages can email me and I will create a customized invoice for you. Supplies are limited. All proceeds will be reinvested into bringing you new content for Ninja Pizza. 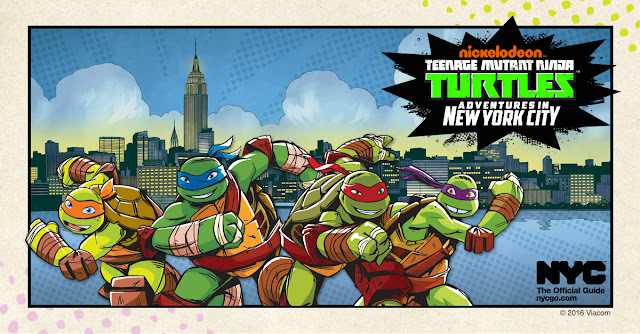 NYC & Company, New York City’s official destination marketing organisation, together with Nickelodeon, announced the Teenage Mutant Ninja Turtles are the newest Official NYC Family Ambassadors — part of a yearlong campaign to highlight New York City as a family-friendly destination. In 2015 New York City welcomed an estimated 17.5 million family visitors, a nearly two percent projected increase over 2014, and family travel to NYC is expected to continue to grow in 2016 to reach approximately 17.7 million family visitors. Since the launch of the Family Ambassador program in 2009, family visitation to New York City has grown by 32.6 percent and is currently 30 percent of total visitation to New York City. For kid-friendly NYC travel materials, guides and itineraries, visit www.nycgo.com/family. 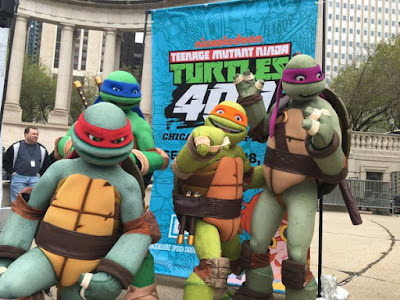 "Teenage Mutant Ninja Turtles" Theme Song Dance on "Dancing with the Stars"
On last night's episode of Dancing with the Stars, Hayes Grier and Emma Slater danced the Jive to the original Teenage Mutant Ninja Turtles theme song! Check it out! Ernie and Roseangelo, circa 2009. If you haven't yet heard, with the help of his sister, Ernie Reyes Jr. has launched a GoFundMe campaign in an effort to raise money to help pay for a needed kidney transplant. 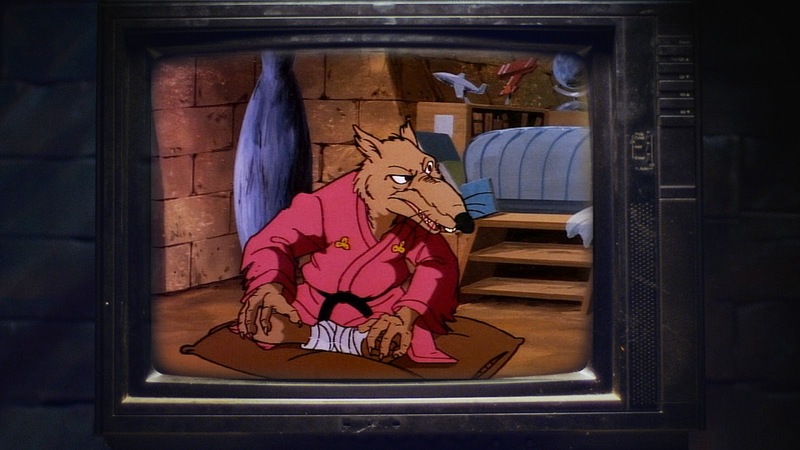 Ernie is most known to TMNT fans for his role as Keno the pizza delivery boy in TMNT II: The Secret of the Ooze. He was also Donatello's stunt double in the very first TMNT movie. In recent months, Ernie has been undergoing dialysis treatment three times a week due to a failed kidney. The target fundraising goal is $75,000, and amazingly supporters have already raised over $50,000 toward that goal. Every little bit helps, so if you have something to spare, even if it's only $5, I encourage you to support Ernie and his family. 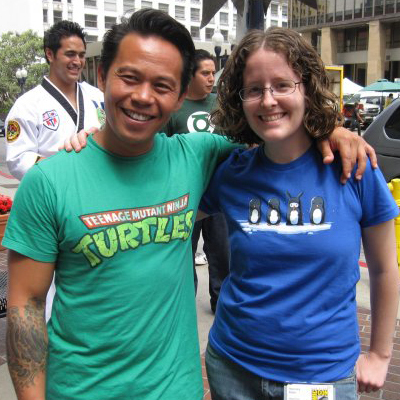 If you've seen TMNT co-creator Kevin Eastman at any of his many convention appearances the last couple of years, you've probably seen him and wife Courtney sporting snazzy "Team Eastman" t-shirts. Well, Team Eastman is now making special "Tour" t-shirts available to fans. On the front are the words "TEAM EASTMAN," with Kevin's first Turtle sketch taking the place of the "A." And like concert t-shirts, the Team Eastman shirts have a list of 2015 convention appearances on the back. If you plan on seeing Kevin at one of his remaining 2015 appearances, limited numbers of shirts should be available at the shows. However, buying online means you don't have to worry about supply and it means that you can wear your shirt when you see Kevin. The following editorial was submitted by Niklas Nowak, translated from the original German. This editorial has been edited for length and small grammar corrections. You can read it in it's entirety on Niklas's blog, here. If you would like to submit an editorial, please e-mail the completed piece to me for consideration. Enjoy! It was probably in fifth or sixth grade when my world broke down. The English terms for animals were the order of the day. Usually, you are already faced with a lot of those expressions before the explicit discussion in school education. For example, through the titles of Hollywood blockbusters, cartoon shows, etc. Thanks to Disney comics with a certain drake and frequent visits to fast food outlets, ”cat,” “dog,” “duck” and similar specimens of the Anglo-Saxon fauna were well known to me. But since donkey’s years I have been looking forward to the moment that we would pick up the word “turtle” in English class, and, maybe even more important, that we would be allowed to use that word. But then, with all of her might, my English teacher gave me a verbal kick in the teeth. In the pages of our textbook we became acquainted to a little turtle that my teacher mentioned as “Trundle the TORTOISE.” She did not know what a cruel thing she did to me by forcing us to use [this term] and not ... “turtle.” If there would have been a shell on my back, just at this very instant, I would have crawled into it. Certainly, combined with the declaration to never come out again. Since my first days in kindergarten, to me there has been nothing more tuff, more bold, more marvelous than the “Turtles,” [particularly] the “Teenage Mutant Hero Turtles”. 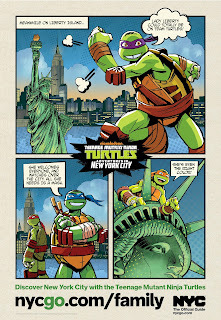 (Please note: They bear the original name “Teenage Mutant Ninja Turtles” in the USA; in Europe, due to dubious aspects of youth protection, the “Ninja” was replaced by “Hero.”) The Turtles were the reason for the factor that the turtle became my favorite animal. Plenty of people see the turtle as a sluggish and coward midget, someone that holes up when the going gets tough. In my view, the turtle was a complex creature. Admirable, as I saw it as a big talking, in Japanese martial-arts-proficient and pizza-eating reptile. If you like, you can mark the Turtles as globalized-paradox, pop-cultural beings of the early 1990s; far Eastern consciousness and body control on the one hand, American pomposity and (unhealthy) culinary art on the other hand. Is there one word for all those facets? There sure is: Cowabunga! “I was young and I needed the money” is not the adequate saying to outline my enthusiasm for the Turtles. More probably, “I was DARN young and had (yet) no idea of how the world works.” Industry realized the commercial potential of the Turtles and expanded it to a kiddie franchise that caught me. Balls to the wall. At the beginning of the 20th Century, children used to pick up on bygone eras to choose their heroes: knights, pirates, cowboys and the like. In the era of plastic commerce (an economic phenomenon that increasingly identified baby-tooth-bearers and their parents as a financially potent target group), explicit figures of franchises fill that role. In the 1970s, “Star Wars” served as a forerunner, numerous Western (for example, the “Transformers” and, of course, the Turtles) and Eastern (“Dragon Ball [Z], “Yu-Gi-Oh,” etc.) [examples] have followed. The fresh heroes answer to the names of Han-Solo and Son-Goku. I was right in the thick of it, chose four brave shell-bearers as my heroes and felt like a million dollars (pardon, pizzas). This was perfect material for my childish imagination, but a constant robbery of my piggy bank/my parents’ wallets. Maybe that was the reason for the fact that——partially due to grief about my merchandise purchases, partially due to empathy about my enthusiasm——in a somehow kind way my father called the Turtles, “Trottels” (a pun of the German word “Trottel,” which means “jerk” in English, and the original expression). Incarnations of Turtle action figures came (and still come) by the score; whether classic, with adjustable limbs (for the ninja moves), with a transforming-feature, or as robotic hybrids. Furthermore, you chose (and still choose) between myriad vehicles, armored fighting vehicles, flying objects, and headquarters that maximize the fun. I remember that there even was a freaky Turtle action figure with a kind of whistle on the back of its shell. It was not a very brilliant idea of one of my friends to select just this figure as his “Sandbox Turtle.” You could barely here a sound from that poor Turtle. To claim that we’ve come “Turtle full circle” with the latest cinema-reboot would be a lie (particularly as in financial terms, the movie is a roaring success, which is kind of surprising as there are a lot of critical voices, too). Precisely that is the amazing thing about the Turtles: They were and are never completely gone. Sure, the 1990s-hype-days are all over. But nevertheless, every now and then there pops up a new cartoon or animation show, a movie, a video game and piles of toys. And, of course, a vast number of reprints, collected volumes and special editions of the original comic series. Turtles can attain a damn high age. 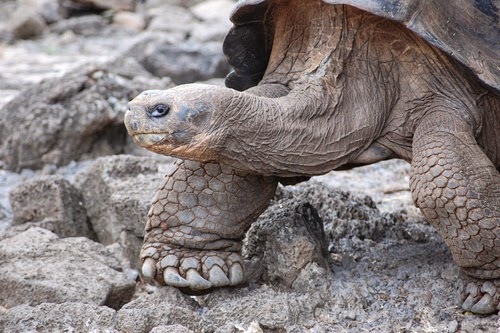 For the average turtle a lack of perseverance and physical power can be compensated by cool-headed acceptance of its inconspicuousness and a Methuselah-like age. On top of that, due to their mutation-strengthened past, the Turtles can do more than a simple rasping sound so that their chances are not too small to be a long-run member of popular culture. Provided that the Turtles will try to equal a prominent companion of their species, they will indulge in popularity up to approximately 2159. I probably cannot compete with that. Hopefully, the same holds true for Trundle the tortoise. Nerdy Show, a weekly talk and humor podcast that embraces all nerdy topics, dedicated their latest episode to the TMNT. 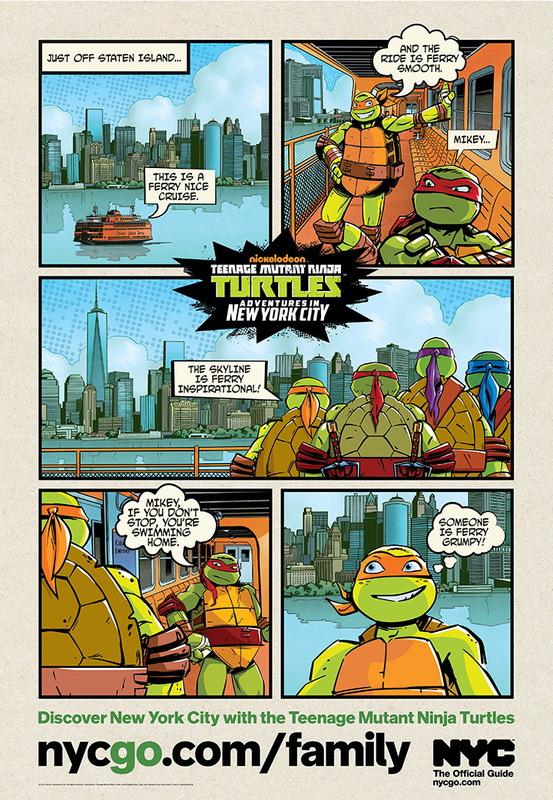 Hear TMNT co-creator Kevin Eastman discuss the series’ legacy of characters and the many forms the Turtles’ universe has taken (from a Q&A hosted at the 2014 Heroes Con). 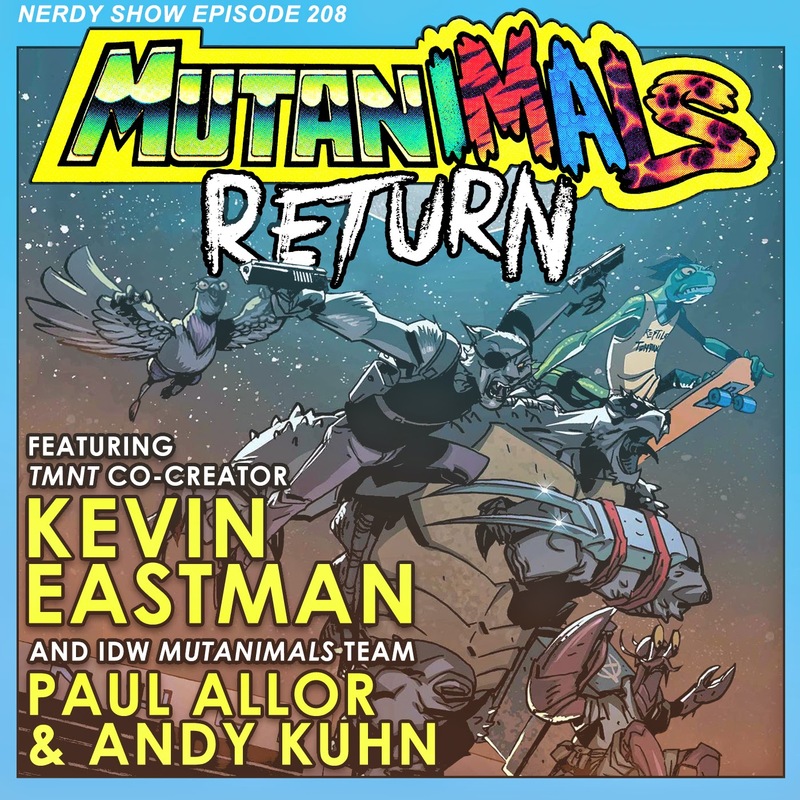 Then hang out with writer Paul Allor and artist Andy Kuhn, the team behind the revival of one of the TMNT's most revered supporting titles: Mutanimals. 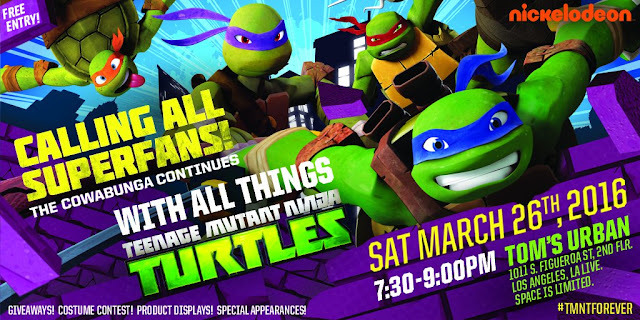 Open now through April 26, the ToonSeum in Pittsburgh, PA, is presenting a retrospective exhibit that celebrates the 30-year history of the Teenage Mutant Ninja Turtles. This exhibition was curated by Andrew Farago of the Cartoon Art Museum in San Francisco. 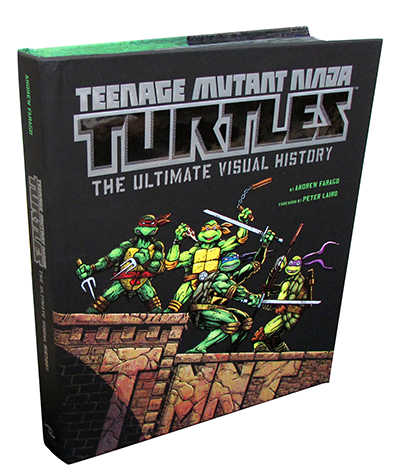 He is the author of Teenage Mutant Ninja Turtles: The Ultimate Visual History, published by Insight Editions in 2014. If you're in the area, be sure to check it out! And watch the ToonSeum Facebook page for possible events. Thursday through Sunday, 11 a.m. to 5:00 p.m. 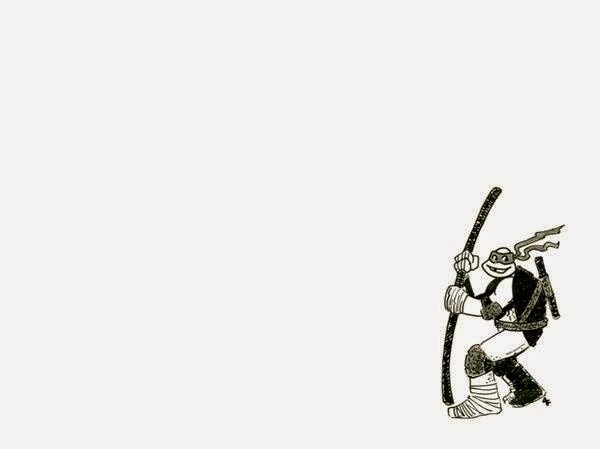 This past weekend, TMNT creators Kevin Eastman and Peter Laird gave their first joint interview in over a decade for "Day 6 with Brent Bambury" on CBC Radio. The interview was a promotional effort for the newly released documentary, Turtle Power: The Definitive History of the Teenage Mutant Ninja Turtles. 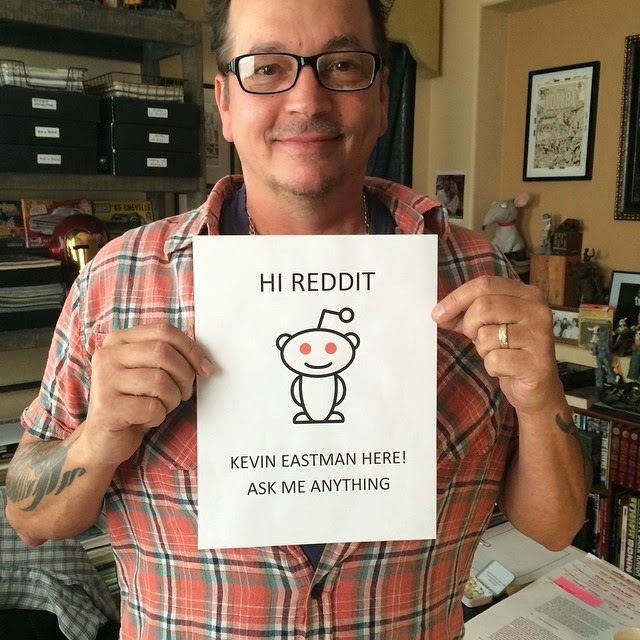 Last Thursday, TMNT co-creator Kevin Eastman held an AMA (Ask Me Anything) on Reddit. You can read the entire question and answer session here. Quoted below are three highlights of the session. Q: What do you think of the new TMNT movie? 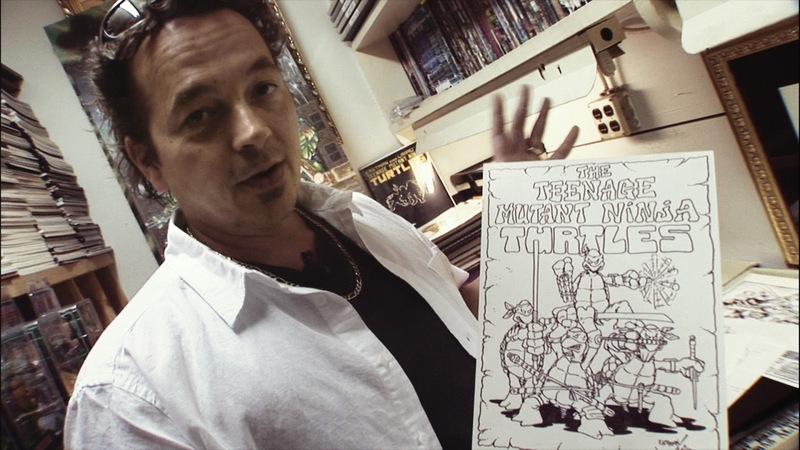 Kevin Eastman: Quite simply, I love it. Worked on various parts of it's development for 4 years. We had the right director for the project and you can clearly see Michael Bay's hand in it. I'm so proud of it and am glad the fans have responded so favorably. 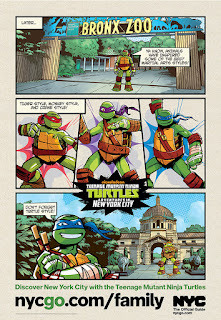 Q: How did you figure out the personalities of the four Turtles? When did you know Leo would be the leader or Donatello would be the smartest one? 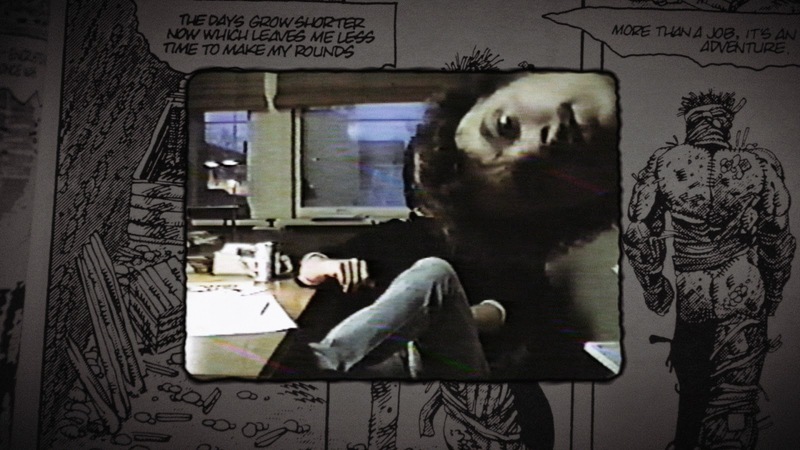 Kevin Eastman: The personalities were developed early on. When you have a group of superheroes or kids playing on a playground it feels like the personalities pop up quickly. You always need a smart one (Donatello), one you want to have on your side in a fight (Raphael). Pretty much from the first issue we knew who they were. Q: I think April O'Neil was (originally, anyway) a great character to have in a comic book story as weird as the TMNT one. She's ambitious, driven, intrepid and cunning. 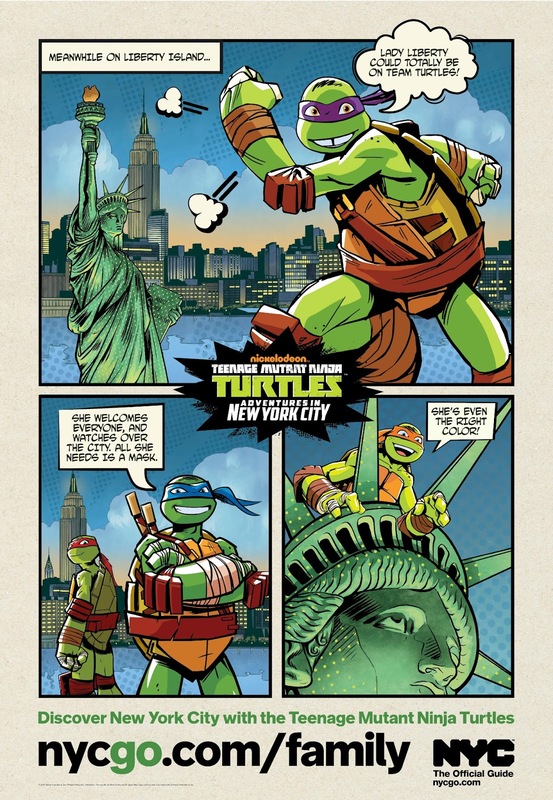 And the Turtles never sexualized her as many other comic characters might have done with such a figure. Was there a conscious effort to make a female character that was basically a 5th (but human) Turtle? One to which women and young girls could relate and admire? Kevin Eastman: Absolutely. I've always been personally very fond of strong, independent, female characters. With April we wanted her to be the big sister and considered more like a family member than anything else. Very strong personality and awesome character on her own. TMNT co-creator Kevin Eastman will be hosting a Reddit AMA (Ask Me Anything) for one hour today, starting at 3pm Eastern/12pm Pacific. You can find the AMA at this link, starting at the time noted above. 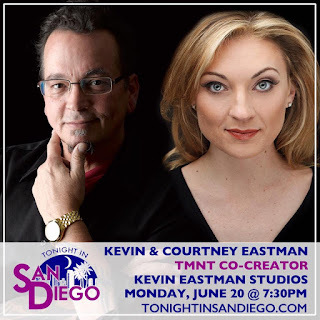 As the name suggests, this is your chance to ask Kevin anything and everything! It should be fun! 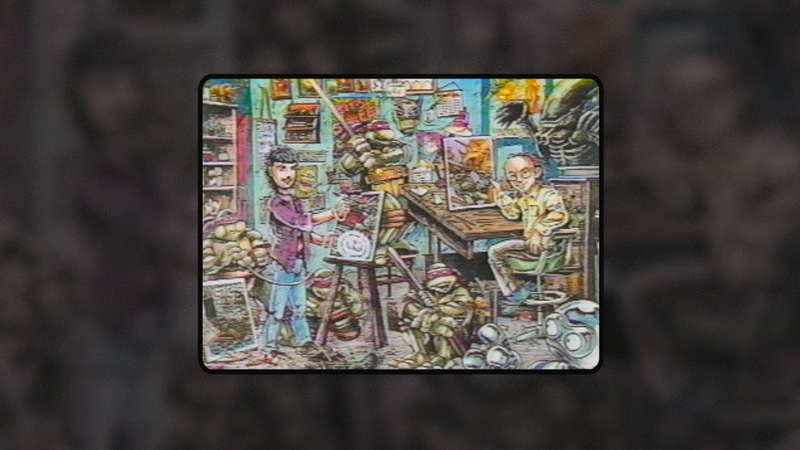 Limited Edition Signed Bookplates for "TMNT: The Ultimate Visual History"
If you don't yet have Teenage Mutant Ninja Turtles: The Ultimate Visual History, what on Earth are you waiting for? Well, here's a little extra incentive. Andrew Farago, author of the book, is currently offering limited edition signed bookplates. If you already have the book, you can purchase just the bookplates to put in your book. If you still need a book, Andrew can sell you one of those as well. There are two bookplates available. 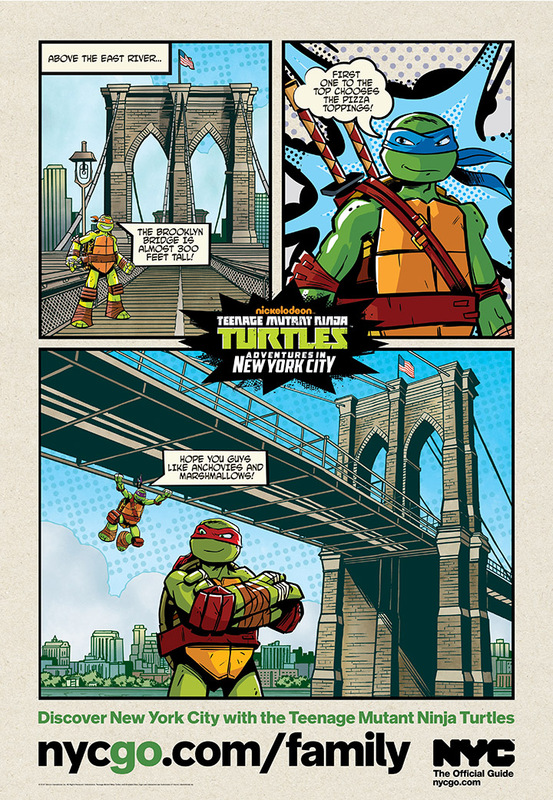 The first features a sketch of Donatello by Andrew and will also be signed by Andrew. 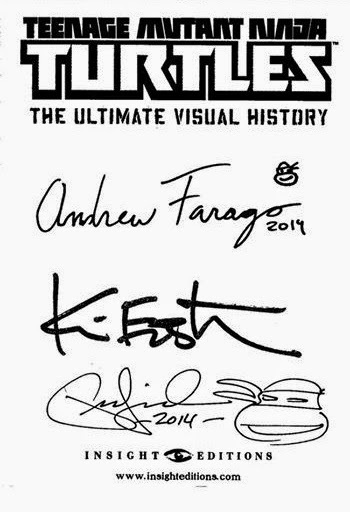 The second features signatures from Andrew plus TMNT co-creators Kevin Eastman and Peter Laird. To get the complete details and get these snazzy bookplates for yourself, head on over to The Technodrome. 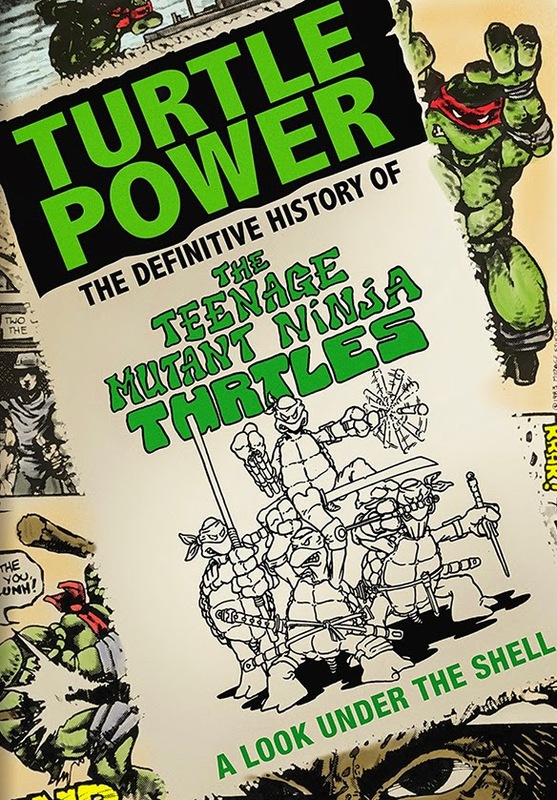 Available today on DVD and HD Digital, Turtle Power: The Definitive History of the Teenage Mutant Ninja Turtles. Get it now from Amazon.com, iTunes, or other retailers. HOLLYWOOD, Calif. – Go behind-the-scenes and beneath the streets to discover the real origin story of four of pop culture’s most enduring heroes in the captivating new film TURTLE POWER: The Definitive History of the Teenage Mutant Ninja Turtles, debuting on DVD, VOD and Digital HD August 12, 2014 from Paramount Home Media Distribution. Written and directed by Randall Lobb, the film chronicles the birth of a franchise and reveals the remarkable journey of four of the most unlikely super heroes of all time. Celebrate the 30th anniversary of Leonardo, Donatello, Michelangelo and Raphael with this must-see documentary and the August 8th theatrical debut of Teenage Mutant Ninja Turtles starring Megan Fox and Will Arnett. In the spring of 1984, a strange new comic book sat beside cash registers in select shops, too big to fit in the racks, and too weird to ignore. 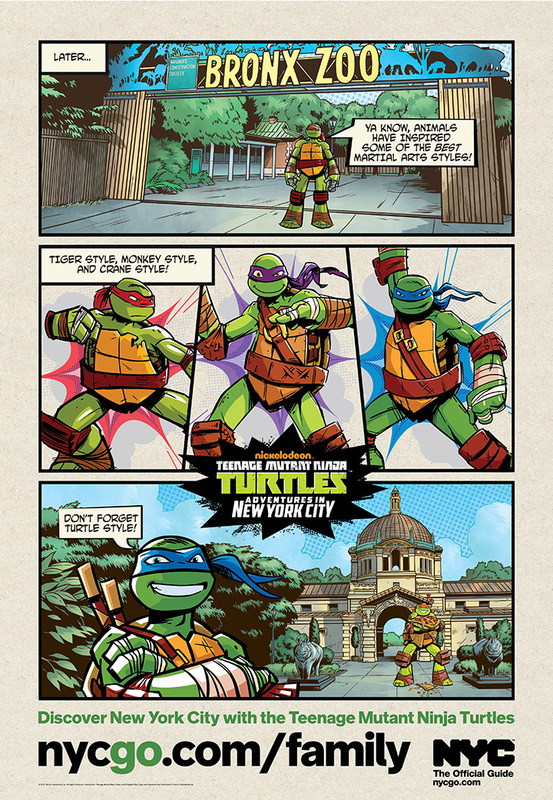 Eastman and Laird’s Teenage Mutant Ninja Turtles presented a completely original breed of super hero. It was too bizarre, too crazy. It broke all the rules and should never have worked. Until it sold out. Again and again and again. For 30 years. Now, peek under the shell and see how this so-called “happy accident” defied every naysayer to become one of the most popular and beloved franchises in the world. 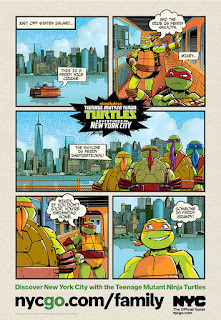 The TURTLE POWER: The Definitive History of the Teenage Mutant Ninja Turtles DVD is presented in widescreen enhanced for 16:9 televisions with English 5.1 Dolby Digital, French 5.1 Dolby Digital, Spanish 5.1 Dolby Digital and English Audio Description, along with English, French, Spanish and Portuguese subtitles. 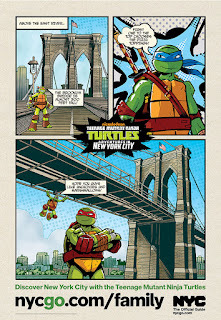 The TMNT have a long history with Pizza Hut pizza, and this summer, with the release of the new Teenage Mutant Ninja Turtles movie, these two forces are reuniting. 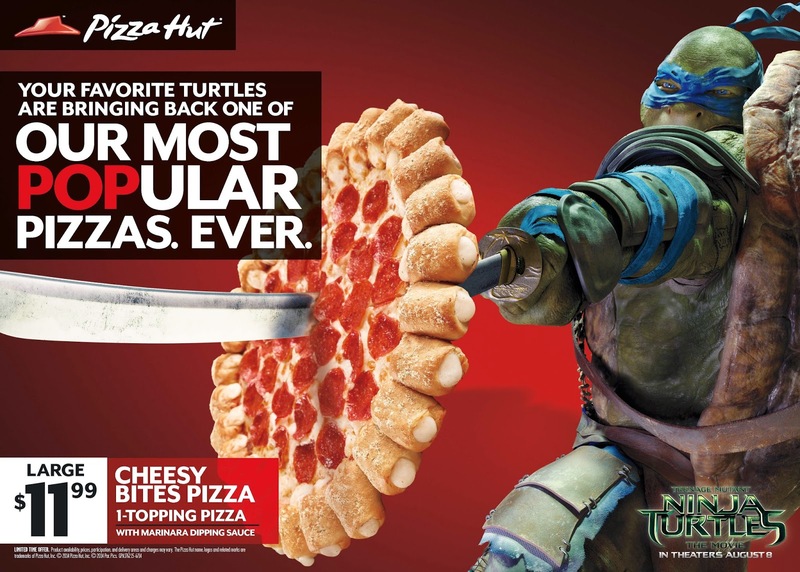 The cornerstone of the partnership is the return of the popular Cheesy Bites Pizza, including a "hidden menu" of four special TMNT-style topping combinations. The partnership goes digital with special online promotions that will be supported through Pizza Hut's social media accounts. 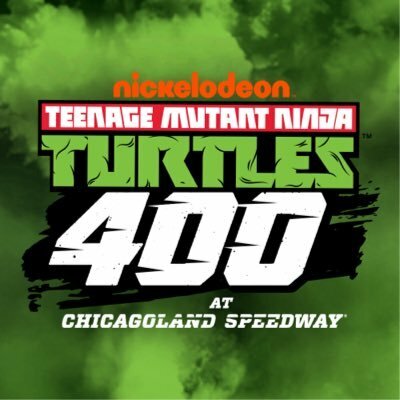 To kick off the promotion, Pizza Hut will host a #TBTMNT (Throwback Teenage Mutant Ninja Turtles) promotion on its Twitter and Instagram channels where fans are encouraged to post their old turtle swag or turtle costumes for chances to win gift cards and other prizes. More information can be found on the Pizza Hut Twitter channel. 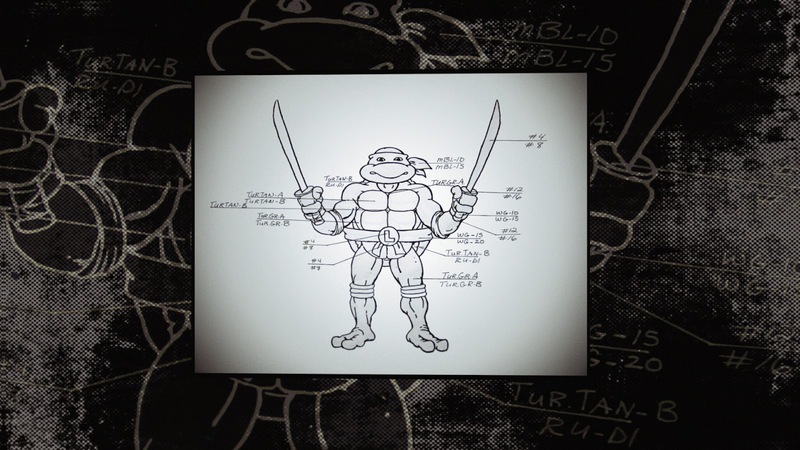 Leading up to the premiere of the Ninja Turtles movie, fans can learn the “turtle way” to cut a pizza “Katana Style” via a “Katana Cut” training video. 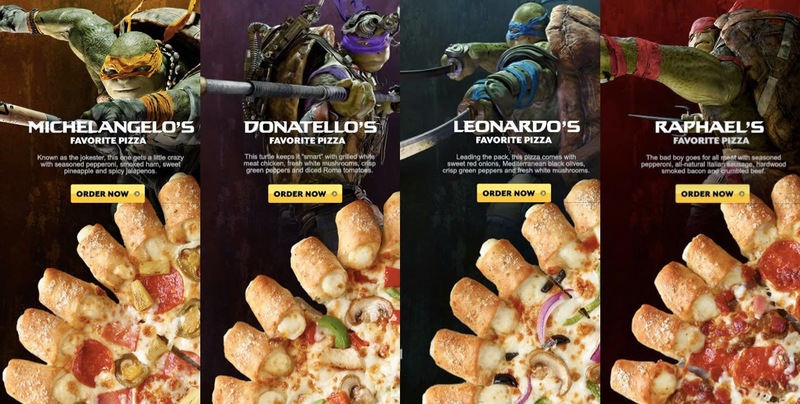 Fans will then be able to order a pizza cut this way – in four Ninja Turtle-size slices instead of eight – to draw a closer experience to the film. In addition, the box topper for Cheesy Bites pizzas will feature an augmented reality experience for customers at home. Fans will have a chance to unlock extended footage from the movie and additional content through an interactive AR experience. All digital assets will also be housed on a new Tumblr page hosted by Pizza Hut. 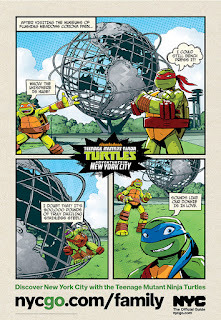 The page will provide an arena for fans of pizza and the Ninja Turtles to showcase memories and stories related to the Turtles and Pizza Hut for other enthusiasts around the world to enjoy. Pizza Hut will reprise a legendary toy figure and fan favorite by unveiling a life-size version of the “Pizza Thrower,” which will make appearances at live events. 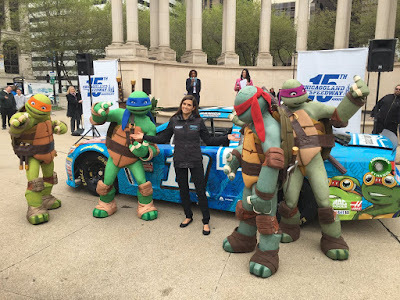 Fans will be able to take charge of the iconic vehicle and fire Cheesy Bites Pizza props at targets, including movie bad guys like Shredder and the Foot Clan, and also enjoy a sampling of real Cheesy Bites Pizza.